Join the Central Dakota Humane Society for their largest fundraiser. 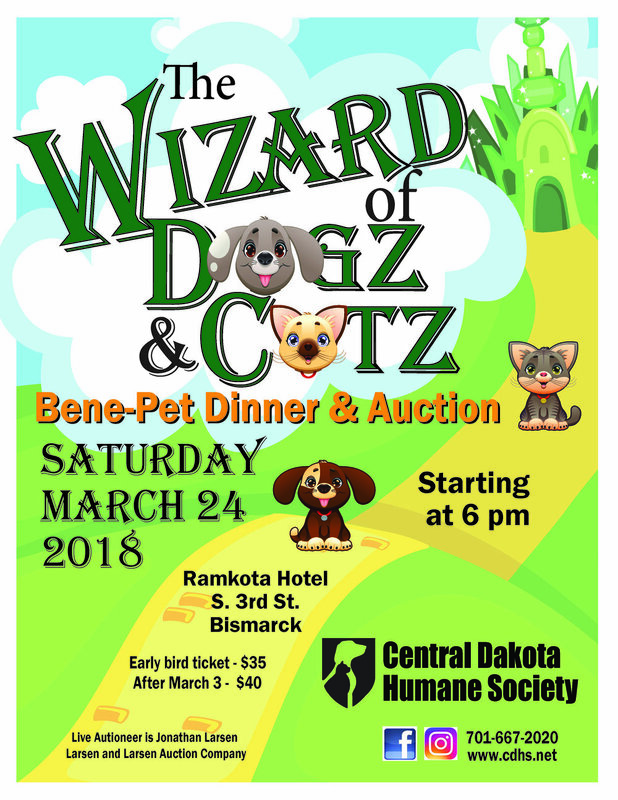 The Wizard of Dogz & Catz, Bene-Pet Dinner & Auction will be held Saturday March 24, 2018 starting at 6:00 pm at the Ramkota Hotel & Conference Center. Get your tickets by clicking on the image below! Click here to check out her FB Group! Join Amanda for her first wine tasting party! She is bringing something new to the Bismarck area and I promises we won’t be disappointed. Buy wine by the bottle, half case, case or join the exclusive wine club!! They have non alcoholic merchandise as well. Amazing gift boxes for weddings, baby arrivals, coffee lovers you name it!! You are cordially invited to COQUETTE's first annual HOLIDAY POP UP! Stay tuned for more details! COQUETTE is honored to be featured at the Red Carpet Reveal for The Rejuvenation Place. The party will start Saturday, Nov. 4th at 10:00AM! Stop by for advice from the very best Skin Care Professionals in North Dakota, check out the newest trends and tips from New York's finest Makeup Artists, or just stop in for a glass of champagne and enjoy the music as you stroll through our wonderful retail showroom!